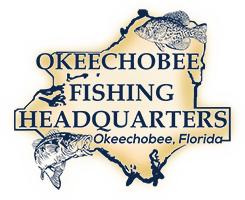 The post Okeechobee Fishing Guides- Okeechobee Fishing Report 12/31/18 appeared first on Lake Okeechobee Bass Fishing at it’s BEST! Top Fishing Guides. The post Okeechobee Bass Fishing- Okeechobee Fishing Report 12/28/18 appeared first on Lake Okeechobee Bass Fishing at it’s BEST! Top Fishing Guides. The post Okeechobee Fishing Guides- Okeechobee Fishing Report 12/27/18 appeared first on Lake Okeechobee Bass Fishing at it’s BEST! Top Fishing Guides. The post Okeechobee Bass Fishing- Okeechobee Fishing Report 12/29/18 appeared first on Lake Okeechobee Bass Fishing at it’s BEST! Top Fishing Guides. The post Lake Okeechobee Bass Fishing- Okeechobee Bass Fishing 12/26/18 appeared first on Lake Okeechobee Bass Fishing at it’s BEST! Top Fishing Guides. The post Lake Okeechobee Bass Fishing- Okeechobee Fishing Report 12/24/18 appeared first on Lake Okeechobee Bass Fishing at it’s BEST! Top Fishing Guides. The post Lake Okeechobee Bass Fishing-Okeechobee Fishing Report 12/19/18 appeared first on Lake Okeechobee Bass Fishing at it’s BEST! Top Fishing Guides. The post Lake Okeechobee Bass Fishing- Okeechobee Fishing Report 12/17/18 appeared first on Lake Okeechobee Bass Fishing at it’s BEST! Top Fishing Guides. The post Lake Okeechobee Bass Fishing Guide- Okeechobee Fishing Report 12/11/18 appeared first on Lake Okeechobee Bass Fishing at it’s BEST! Top Fishing Guides. The post Okeechobee Fishing Guides- Okeechobee Fishing Report 12/10/18 appeared first on Lake Okeechobee Bass Fishing at it’s BEST! Top Fishing Guides.